The BEST! Very thorough, the best diagnostic equipment, everyone is very caring and professional. Could not ask for more. Dr. Chu was friendly, patient and knowledgeable throughout my entire visit. He diagnosed and addressed my vision issuewithout delay. I’m happy to have found a thorough and wonderful health care provider. Dr. Chu was friendly, patient and knowledgeable throughout my entire visit. He diagnosed and addressed my vision issue without delay. I’m happy to have found a thorough and wonderfulhealth care provider. Dr. Chu is a board certified ophthalmologist, medical doctors who specialize in the diagnosis, treatment, and surgical correction of eye diseases. He has extensive training and experience in all aspects of ophthalmology, from the latest microsurgical techniques and laser treatments to routine examinations for eyeglasses and contact lenses. Dr. Chu is also the Medical Director of Palisades Eye Surgery Center, the premier eye surgery center in Montgomery County. He is a Fellow of the American Academy of Ophthalmology, and a member of the American Society of Cataract and Refractive Surgeons. Everyone was very professional. Office was busy, but I never felt that I was being rushed. Dr.Chu has excellent ,polite bedside manners. Professional and his knowledge is respectable and important! Explained my conditions in easy ways for me to digest. The office is very friendly and technician was very attentive and professional. Nice and smooth visit. Would highly recommend to a family and friends! I chose Dr. Chu because he is an ophthalmologist rather than an optometrist. I am very near sighted with a family history of eye problems so I wanted to make sure my eyes were healthy. I liked the people at thefront desk as well as the optician. All of them were friendly. When they first took me back I was working with a petite woman who was very patient. The second time I went to the back (after dilation), I worked with a man who was kind of on the rough side when it came to tilting my head for the camera. I also didn’t think he had great people skills but I’m not looking for a bestie. As far as the frame options, I would say they mostly carry higher end frames. LaFont, Ted Baker, Gucci and the like. I currently have LaFont frames and they are not worth the price. I have had much cheaper frames last much longer. I’ve had mine for two years and they are already completely faded. The frames I really loved were probably the most expensive frames I have ever come across in my 23 years of wearing glasses. I was waiting for someone to pop out and say I was being Punk’d (lol). Once I was seen by the doctor, I liked him. He’s not super warm but still very professional. The female tech is who really stands out for me. While I was looking at glasses, she came back out to double check my prescription and ended up reducing it a bit in my right eye. I appreciate the extra effort. I also thought the office was very convenient which, let’s be honest, can be sketchy the closer to DC you get. I will continue to come here for all future eye care. Be aware that they do not accept AmEx so have other payment options to buy your glasses. Had to wait for over 30 minutes before I was called in. The latest equipments are in place. He is excellent; caring and knowledgable! Everyone was very professional and friendly. Dr. Chi explained everything very clearly. Very professional and organized. Modern equipment. Dr. Chu and the whole staff were informative and kind, as always. Dr Chu is very experienced and patient with the questions! I was seen quickly and a all staff were very courteous. I have been a patient for a few years, and Dr. Chu treated my mother. He is a skilled doctor, but the practice is overbooked and wait times are long. The costs of medications, glasses and treatments patients pay doesn't seemto be a consideration for this practice. Maybe because it's in Bethesda, and most of the patients are wealthy? He was the best by far I have ever seen and Ive had a "million of 'em" His bedside / chairside manner rated 10 stars, he was patient with me as scared as I was and he had all the confidencein the world that he could help me It has been a year - but Im still trying to save up for my (reasoalble) co-pay(I live alone with no help) - it is more then I can afford but hopefully i will be able to afford it soon, and enjoy full sight again, someday before too long. Pray for me everyone! Use this doc no matter what you think of the Office Staff. I believe the way they were bickering and arguing is actually acceptable for the culture! (we all have out ways) I wasted 2.5 years at the Wilmer Eye Clinic at johns hopkins, boy what a waste of time, not to mention the 30plus years of my very own "family" opth. negative nellie! Thumbs Up! Dr, Chu! Very pleasant office staff and nice doctor who took time to explain what he saw during exam. Highly recommend. My only concern was that I was unaware of a more easily accessible parking area for reaching the second floor offices. Once I made it to the office, the staff was professional, the equipment was more up-to-date than I was usedto seeing, and the doctor was personable and explained my options clearly and with a very supportive tone. There are doctors you feel lucky to have found when you needed them most. Dr. Chu may well be that specialist for this patient. Dr. Chu was great very detailed! Daniel his assistant was great he did all the tests for the doctor and was extremely helpful with all my questions as concerns. Front desk could have been more friendly when checking in. The doctor was great and very patient with my questions. I did have to wait for almost an hour in order to be seen. Not sure if it was because this was my first visit with them, so the front deskasked me to fill out a bunch of questions. But overall I appreciated Dr. Chu's treatment and expertise. Dr. Chu is personable, professional and knowledgeable. His office staff is friendly and very efficeint. I highly recommend Dr. Chu. He'll be doing my cataract surgery soon. Dr. Chu is very patient to listen to the eye issues I’ve experienced this past week. He took time to explain the cause and answered all my concerns. He assured me nothing was serious and reminded me to take eye drops because I have dry eyes. Staff is very pleasant and Dr. Chu is very thorough and professional. Was not able to be with parent for visit. Tried to communicate by phone. Did that with dentist office went very well. Not so much with your office. Excellent visit. Extremely friendly and capable staff. Complete review and discussion with Doctor. Highly recommend. He was very kind and informative about my cataract situation. I liked him and will go back to have the procedure done. Great eye doctor! I highly recommend. I believe he will help me with my condition. Dr. Chu and his staff truly care about my eye health. They are also respectful of my time. Their investment in state-of-the-art technology assures me that they're sincerely interested in delivering expert service for my eyes, my glasses, and my contact lenses. Very impressed with professionalism and quality of consultation and services provided. This is a first class operation and I am now a very happy patient! I felt assured that the office used the very best of technologies and techniques to do a full health and refractive assessment of my eyes. I have enjoyed the professionalism of Dr. Chu for many years and have never been disappointed with him or his technical support staff. Dr. Chu is an amazing and very intelligent doctor. He was able to figure some things out for me that others have missed for years. I would highly recommend him! 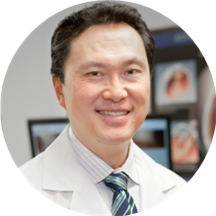 Dr. Chu has state of the art equipment and a knowledgeable staff to assist him. I have been a patient of his for several years and he always thoroughly reviews the health of my eyes in connection with my overall medicalhistory and current concerns. He was also my (now deceased) mom's eye dr and uses her history to assist in addressing possible future concerns for me. He has my highest recommendation. I found Dr. Chu about 3 years ago, and I am completely comfortable with his style and expertise. He seems to have plenty of good machines, and is up on the latest technology. I enjoyed my visit and will be returning to this office. Dr.Chu is a great professional whom I would definitely recommend to other patients. He answered all my questions and explained what I needed to know. The office staff is very friendly and highly professional as well. The wait time was just 10 minutes. I would definitely go back. excellent! latest technology, great staff and Dr. Excellent clinician who is able to explain my medical situation in a way that is very easy to understand. Dr. Chu is very pleasant and has excellent bedside manner. He asks questions about my recurring eye issues and is very knowledgeable about my particular problem. I rarely wait long to be seen. I will continue to see Dr. Chu for eye care.